Disney’s Animal Kingdom is home to many attractions and many animals, but the home for a majority of these creatures and the marquee attraction for the park is, without question, Kilimanjaro Safaris. Here photo hungry guests can grab as many pictures as they can of hippos, crocodiles, and lions, but the real treat is the savannah. 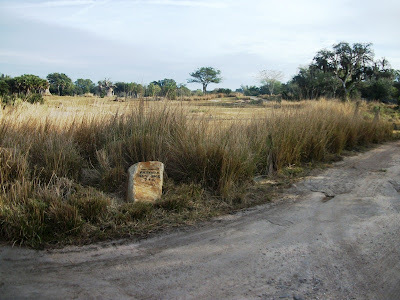 The Kilimanjaro Safari attraction is large enough to fit the entirety of the Magic Kingdom within its borders, and the savannah was one of the first projects completed for Disney’s Animal Kingdom in order to provide the plants there time to adjust to their new home and grow roots. The savannah of Harambe Reserve is a true slice of Africa, and features a variety of species intermingling, just as guests would find in true wild spaces. With all of these animals in one place, it could be conceived that larger animals would run off the smaller creatures in order to have a monopoly on the food sources, but examining information boards throughout Harambe, we are given a different view of the savannah. Giraffes and elephants stick to the higher food sources provided by the trees, elephants actually break down the dense vegetation and trees to extend the spread of the grasslands. As for the grasses themselves, buffalo munch on the tallest shoots of grass, zebras graze the tougher pieces of the grass, and the wildebeests dine on the remaining smaller shoots of grass. As for the story of Harambe Reserve, the former game-hunting reserve was transformed into a more hospitable home for the animals as part of the conservation movement that spread across the globe like a wildfire in the 1970s. It was a cognitive choice by the people of Harambe to move away from the destructive effects of hunting wild creatures and repurpose the land for the animals and for future generations. Obviously, this has not sat well with everyone, and poachers are an ever-present threat on the reserve. That is why visitors and wardens must be ever vigilant in their protection and education efforts on, around, and about the savannah.